Perfect for the chocoholics, we have created this amazing chocolate basket filled with chocolate goodies by fine chocolatiers Valley Chocolates. 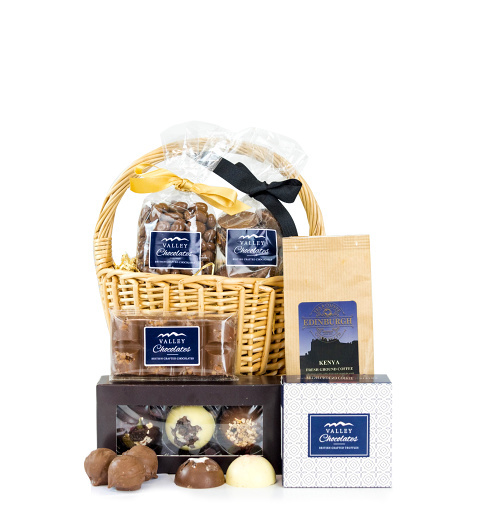 We have selected a variety of scrumptious goodies and arranged everything with care and love in a beautiful basket. Great for all occasions and perfect for Christmas.